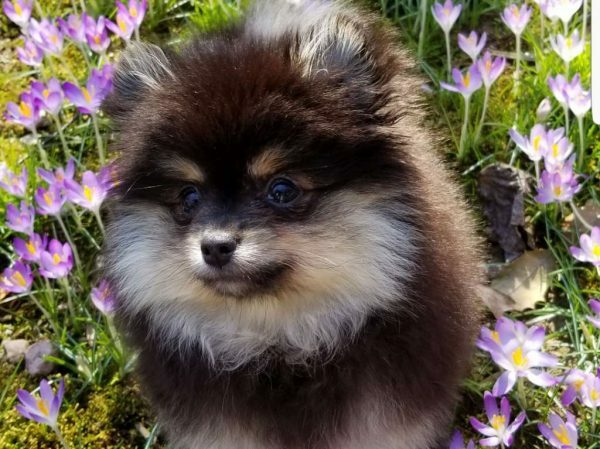 This week’s Reston Pet of the Week is Roxy Rose, a Pomeranian who is new to the area. Roxy Rose (aka Foxy Roxy) is a full breed Pomeranian and new to the Reston area. She is 3 months old this week, and the only dog to her parents Noelle & Andy. Roxy loves the outdoor scene of Reston, and is eager now that spring is in the air and the flowers are in bloom to start hitting the many trails of Reston to start exploring and making new friends. On the weekends you can find Roxy Rose at the local North Point shopping center Starbucks enjoying a Puppachino and rocking her latest new posh puppy outfit. You can also follow her adventures on Instagram @roxyrosefromreston!